This Light Award is sponsored by 101 Best Science of Getting Rich Quotes and processed through Kiva.org. The Friendship Bridge Trust Bank “Santa Lucia” is located in the mountains of the department or state of Quiche. It is where six Maya Quiche ladies are on their second loan cycle with Kiva. They share the common goals of expanding their businesses and providing for their families. Their businesses range from convenience stores to the sales of vegetables and tortillas to manufacturing roof tiles. Rosario, who is 46 years old and a member of the group, has a second grade education. She has three children who range in age from 17 to 26. Rosario was only able to send them to school until the ninth grade. She works hard at her business selling a variety of vegetables and delicious corn tortillas. Rosario is requesting a loan to buy more vegetables (squash, potatoes, carrots, tomatoes, onions), large sacks of corn and a gas stove. She is striving to keep expanding her business and put away savings for when she is older. 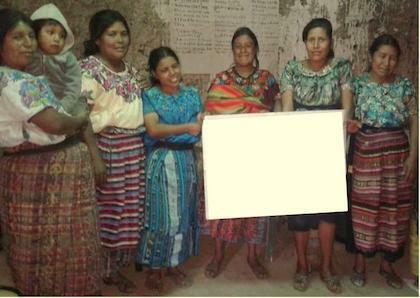 Thanks to the Microcredit Plus program of Friendship Bridge (loans and education), the ladies in the Trust Bank enjoy monthly educational training that covers an aspect of four main topics: women, families, health and business. In providing funds for the loans, Kiva investors are highly regarded. Thank you! Congratulations to the Santa Lucia Group in Guatemala!